With those words Queen Elizabeth II stole the show. The 86-year-old monarch was speaking to movie idol Daniel Craig, in his role as super-spy James Bond, in a movie clip that opened the 2012 Summer Games in London's Olympic Park. In the snippet, which marks her cinematic debut, she turns from a writing desk, trademark corgis at her feet, and offers the greeting to the tuxedoed actor. Then look-alikes of the two parachuted onto the roof of the stadium from a helicopter. 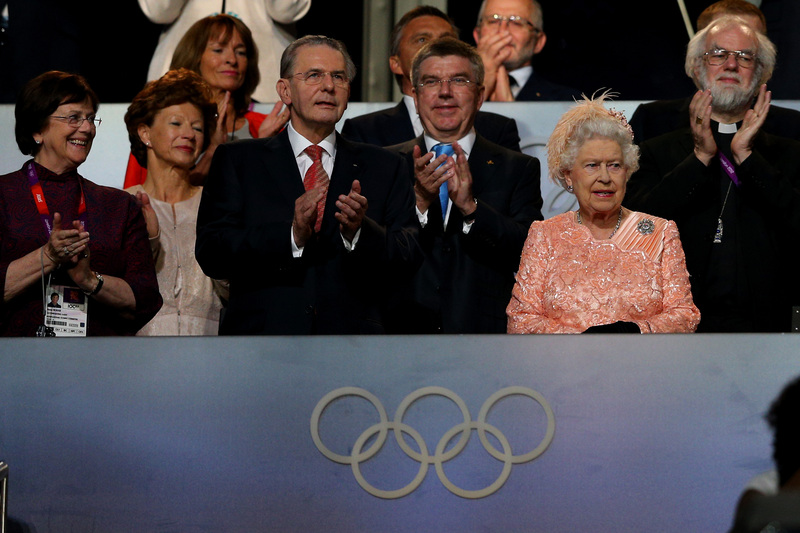 Shouts of "It's the queen" echoed from the crowds gathered outside of the arena. The queen's clip was kept a closely guarded secret, although details did manage to make it into print earlier this year. Britons are not used to see Her Majesty, who just marked her Diamond Jubilee, play such an informal part. It coincides with a resurgence in the royal family's popularity following the 2011 wedding of Prince William and Kate Middleton.